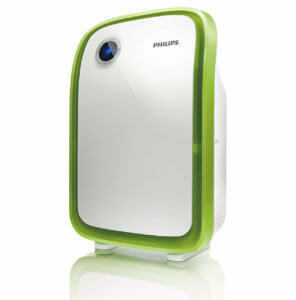 The Philips AC4025 Air Purifier is meant for small rooms. Its coverage area is 323 sq.ft/30 sq.m nearly. The design and looks are proportional to the price and accordingly may seem a bit cheap as compared to the other higher range models. It has more or less the same functions and capabilities as Philips AC4012. There are various technologies which are employed in air-purifiers like Ionization, Ozone-Generation, UV-sterilization and Photocatalytic Oxidation. So much for the fancy sounding names reminding you of your chemistry classes. This purifier is filter based. What it means is that it employs physical sieves (filters) which trap the pollutant particles when they impact or collide with the filters owing to the suction produced by the fans. The AC4025 model does not have a pre-filter, and this obviously is a compromise in terms of longevity of the purifier HEPA filter. One filter less means less cost and similarly lesser maintenance and replacement costs. As of October 2017, the purifier cost just about INR 13,200 on e-commerce websites (Check Current Price). 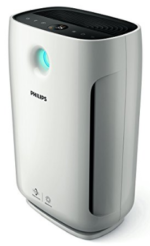 All Philips purifier models have True-HEPA Filters, so you need not inquire and worry for it while buying one of them. HEPA Filters are capable of removing ultra-fine particles including viruses. The complete range of Philips purifiers is certified from AirMid and ECARF– which is the European Centre for Allergy Research Foundation. 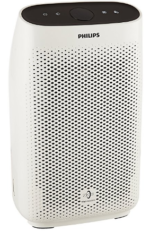 As stated earlier the Philips AC4025 Air Purifier has two filters- The activated carbon filter and HEPA filter. TVOCs are volatile organic petroleum based compounds which are found in disinfectants, paints, coatings and indoor decorations.They are generally in very high concentrations indoors (up to 5 times more) than outdoors. Prolonged exposure to VOCs can be debilitating for health and can cause cancer. The symptoms of prolonged inhalation of VOCs take a long time to show up. So, for the health of our dear ones especially for infants and small children, its important to protect them from VOC exposure. The most common symptoms are nose,eye, and throat irritation along with headaches, dizziness, and nausea. Although it’s best to limit the use of products which emit VOCs but in current scenarios, it’s just not possible to completely avoid it. In not so well-ventilated houses and buildings, VOCs can easily be avoided by using air purifiers with Activated carbon filters which work on the principle of adsorption( mind the ‘d’ instead of ‘b’ in the spelling). Activated carbon is charged charcoal which has a property to absorb the large volumes of gases on the surface of its pores. The pores are so small and so many that a small quantity of activated carbon can present a huge surface area for attaching gaseous molecules. 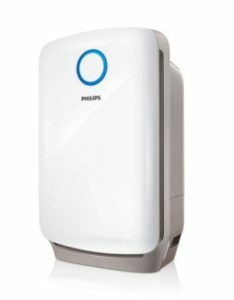 For one of the best purifiers from Philips; you can consider buying AC4372 and obviously have to shell out considerably more 🙂 . For uninterrupted sleep with no disturbance, the sleep mode is a good feature. 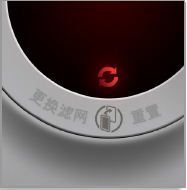 In this mode, the fan speed is the minimum, due to which there is no noise of the fan. The decibel rating of Philips AC4025 Air Purifier during sleep mode is 36 decibels. 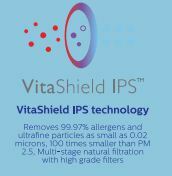 To filter out Ultrafine particles, allergens, bacteria and viruses with size >0.02 micron. One parameter that should be kept in mind while buying an Air-purifier is the CADR(Clean Air Delivery Rate). CADR in simple terms is a measure of the efficiency of a filter to remove a particular type of particle from surrounding air. Be it smoke,pollen or dust- a filter has separate CADR ratings for the three. Generally, only the CADR(smoke) is mentioned commonly. The Association of Home Appliance Manufacturers (AHAM) performs air quality tests for manufacturers and gives them ratings and CADR figures to display a seal that certifies AHAM performed the test. The CADR ratings depend on a variety of factors ranging from fan speed, surroundings, type and size of particles, size etc. It is advisable to keep the rooms closed as you do while the Air Conditioners are working, because the incoming air from outside may never give the purifier a chance to clean the room’s air completely. Different filters have different particle removing efficiency.Depending on the Airflow(speed of fan) and the CADR ratings, you can make a choice which purifier will suit your needs. An Alert is triggered when the filters are no longer capable of giving perfectly clean air. When the filter is not replaced in time, the appliance stops functioning to avoid running with no effect since filter is no more effective. Its an assurance of healthy air always. The fan speed can be altered according to need. 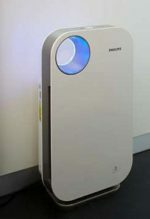 For quick cleaning of the air in the room, the maximum fan-speed setting should be used. It helps remove the pollutants much faster than the slow/medium fan speed levels. There are a whole lot of Air Purifier manufacturing brands in the market. It’s tough to make up ones mind as to which one to prefer. Within a single brand itself there are a no. of models. Generally, the costlier models have the Best features which a company has to offer. Simply speaking, the differentiating factors on which the choice of purifiers should depend are the effectiveness in terms of whether the purifier actually cleans the air and removes the various pollutants (organic and non-organic) that they advertise to do so confidently? Yes, you heard it right. 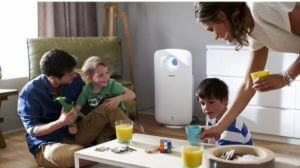 Ever since newer models have been introduced, the Philips AC4025 Air Purifier is has lost its charm. It is an entry level air purifier with low price. It is effective for not-so-worse air conditions. Also, it is found to work well in places where the air has too many pollen. If you have a small area (less than 300 sq.ft) to cater to still don’t go for it! 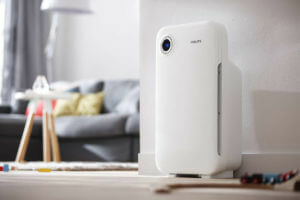 The Philips AC1215 Air Purifier is far far better and that too cheaper. There is no Pre-filter. The active carbon filter acts as a Pre-filter. The Quality of filters is somewhat compromised to keep costs low. Philips AC4025 is not so effective. 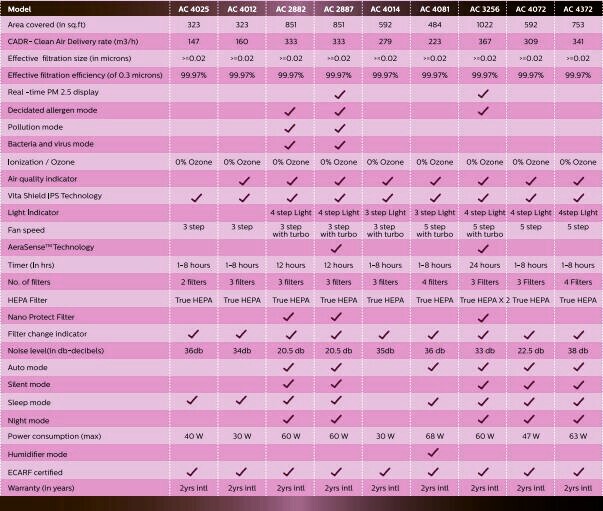 Furthermore, the coverage area is very small compared to higher models.